Apostolic Journals: 3 Days/3 Nights On The Cross To Resurrection, Is It 72 Hours? 3 Days/3 Nights On The Cross To Resurrection, Is It 72 Hours? (1) To us, three days and three nights generally means 72 hours, but we must understand the Bible historically and culturally. For the Jewish mind, this could mean any part of the first day, all of the second day, and any part of the third day. This is obvious by comparing Esther 4:16 and 5:1. Esther mentioned fasting for three days and nights and said that she would then go into the king, which she did, but 5:1 tells us clearly that it was on the third day that she went into the king, not after three days or on the fourth. This simply illustrates the way the Jews reckoned time. 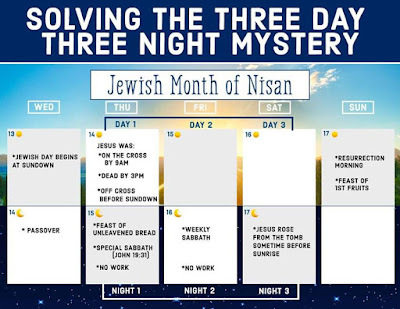 (2) Further, the statement “after three days” could mean to the Jewish mind “on the third day” since any part of that day was considered the third day (cf. Matt. 27:63-64). Note the statements, “after three days” and securing the tomb until the third day. More will be said on this below. (3) But on the third day could not mean on the fourth day, i.e., after a full 72 hours. Compare Luke 24:1 with 24:21. We read that they arrived at the tomb “on the third day” and then in verse 21 it is stated that “it is the third day.” This would be impossible to say if Jesus had stayed in the tomb for a full 72 hours for it would then be the fourth day. His resurrection would have had to be after the third day and on the fourth. (4) Also, “the day of preparation” (Luke 23:54) could only refer to Friday before the Sabbath since no work of any kind could be done on the Sabbath, the seventh day. On other Sabbaths, holy days, domestic work could be done like making fire and cooking. No special preparation was needed for those Sabbaths or holy days, but not so on “the High Sabbath.” We might also note that the “day of preparation,” the Greek paraskeue, means Friday in modern Greek. See Ex. 16:22-23. 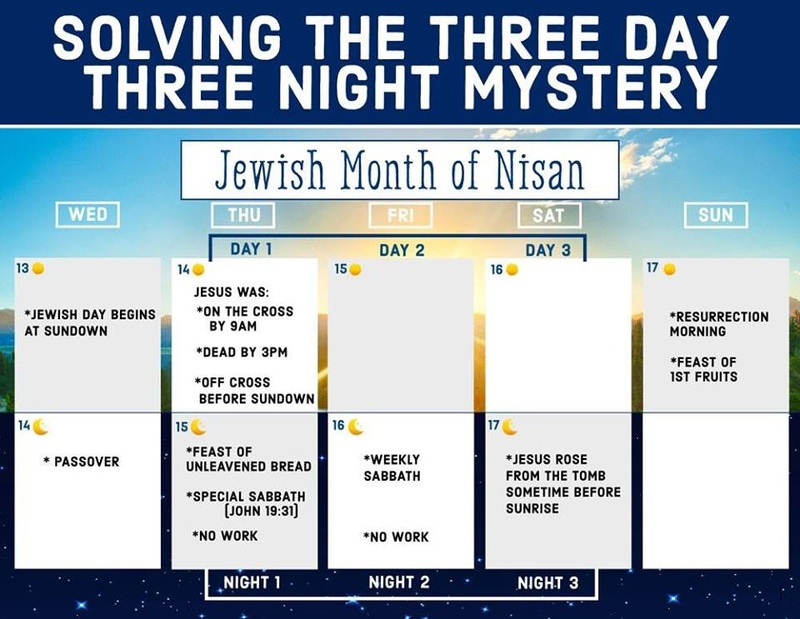 The point here is that Friday is the only day a preparation day was needed as a preparation for the Sabbath, our Saturday. 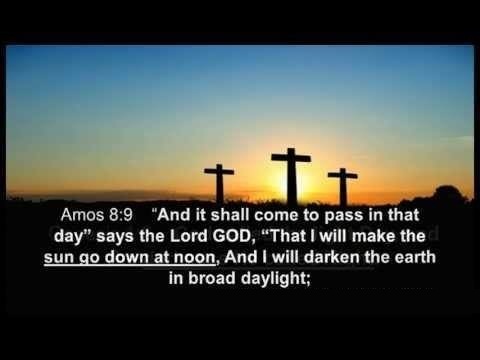 (5) In several passages (the majority, about 4-1) it is said Jesus would rise “on the third day.” If the resurrection occurred after a full 72 hours (3 days) it would have been on the fourth. Compare Matt. 16:21; 17:23; 20:19; Luke 24:7, 21, 46; 1 Cor. 15:4. See below also regarding the use of the dative case here. (6) In my mind, comparing all that is said in Luke 23:54-24:1 and John 19:31, settles the issue because of the day of preparation, Friday, being needed to prepare for a special high day or high Sabbath along with the fact the women came to the tomb on Sunday morning which is described as the third day. (7) Finally, the Jews who heard the Lord use the phrase “three days and three nights” in Matt. 12:40 did not seem to necessarily understand a full 72 hours. Compare their comment in Matt. 27:62-64. Note, they said, “until the third day, not until the fourth.” Matthew could have used a Greek construction here which would have stressed through (duration) the third day, but using the preposition eo„s with the genitive, it basically meant “till or up to” and does not stress the idea of duration meaning “through.” The genitive case typically stresses during, at, or within a time range. Had the accusative been used alone or with a different preposition, it could have stressed extent or duration of time. There was darkness on Friday the Crucifixion day from noon till 3pm. • Now from the sixth hour there was darkness over all the land unto the ninth hour. - Matthew 27:45. 45 And the sun was darkened, and the curtain of the temple was torn in the middle. That means He died during the Friday night technically. This reinforces the fact that He died on Friday and not Thursday. Then the Resurrection is clearly stated as the FIRST DAY OF THE WEEK. To the Jews the week begins on Sunday after the Sabbath rest. After the Sabbath, at dawn on the first day of the week, Mary Magdalene and the other Mary went to see the tomb. When the Sabbath was over, Mary Magdalene, Mary the mother of James, and Salome bought spices so they could go and anoint Jesus' body.